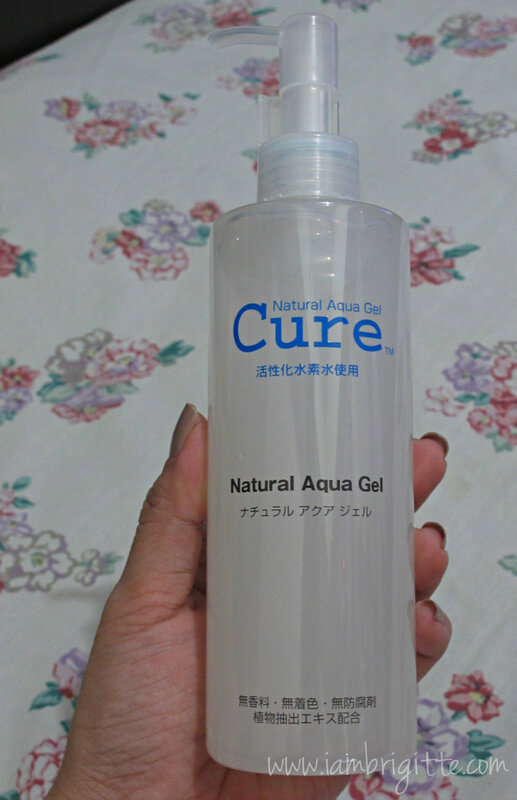 IAMBRIGITTE : Product Review: Cure Natural Aqua Gel.. Product Review: Cure Natural Aqua Gel.. I've been getting a lot of inquiries since I've posted pics of this wonder-product on my Instagram account a few weeks ago. Some asked what it is, while most (probably those who have tried this and liked it) asked when it will be available locally (though you can find this in some sellers online). Now, I'll be answering all those queries plus a review! So what is CURE all about? 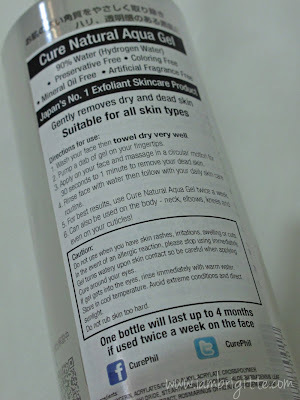 CURE is a gentle liquid exfoliator that gently and effectively removes dead skin cells without irritating or harming the skin..so yes, it is suitable even for the most sensitive skin types. It's almost fragrance-free. Almost because I can smell a bit of alcohol in there, though the ingredients didn't specify any. Probably I just have a weird sense of smell? 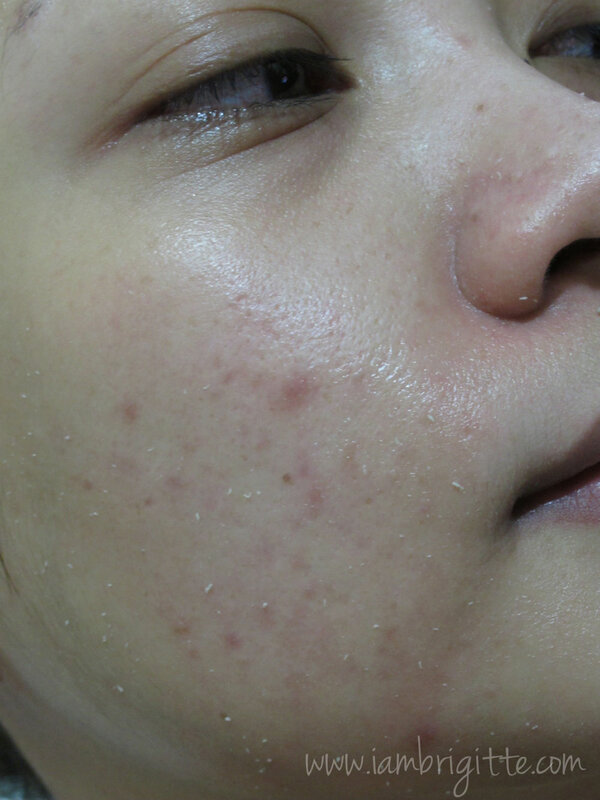 There's also no need to worry about over-exfoliating, as this product will only remove 0.01mm of skin impurities to reveal brand new skin underneath. For those who will be seeing this for the first time (saw this in bazaars a few years back), lucky you as the packaging already includes an English translation at the back. It comes in plastic bottle (yey again for careless people like me!) with a good pump dispenser. It even has a stopper at the neck so you won't need to worry about it getting pumped accidentally whilst inside your bag. 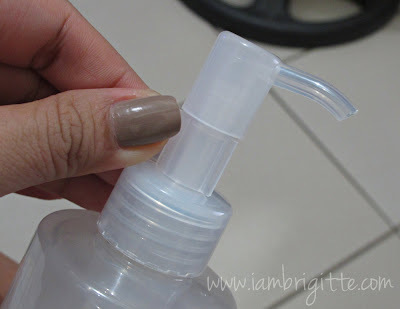 In the bottle, it's a clear gel but instantly liquefies once in contact with the skin...so be careful when you are using it around the eye area. There goes my bare face (plus my blemishes) saying "Hello, World!" again. 2. 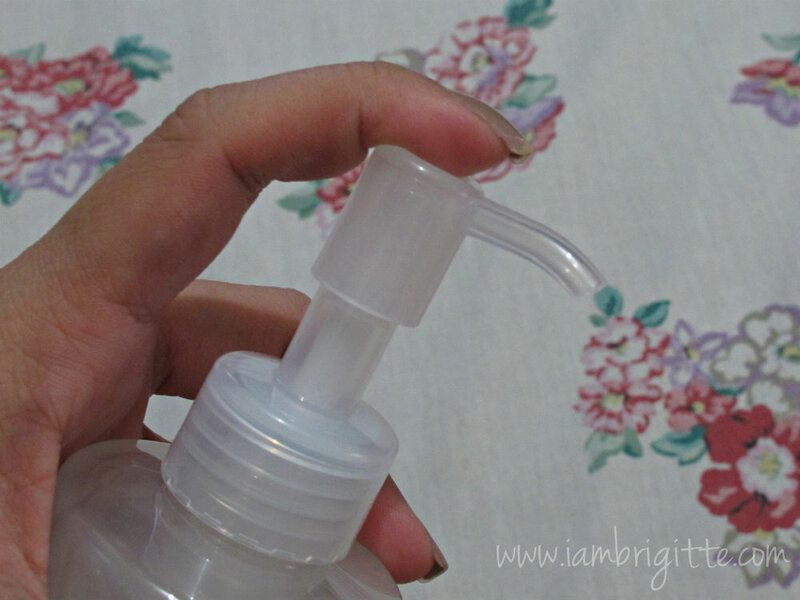 Pump a small amount of CURE on your fingertips and massage it on the face (or wherever you want to get rid of dead skin) in circular motion. 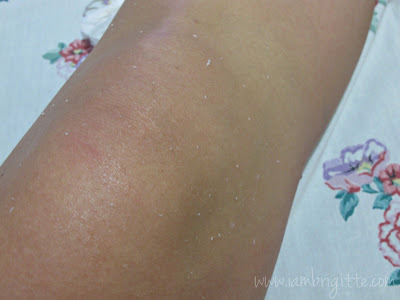 The gel + dead skin will start to roll off in tiny beads. It actually reminds me of eraser rubbings. Face looking smoother and brighter! 1. 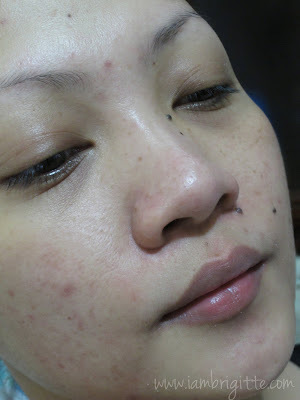 I don't get much blackheads or whiteheads like I used to most especially on the nose area. 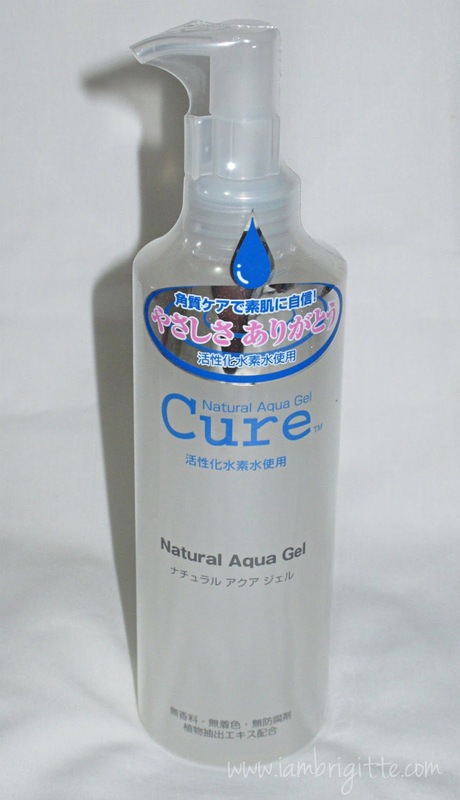 CURE increases the skin's turnover rate, therefore decreasing the possibility of sebum being trapped inside the pores. 3. Makeup glides on easily on my face. Bumps and flaking have been reduced. I am really loving this product and good news, it's now available in Beauty Bar! It's priced at Php1500 for a 250ml bottle! I can say for something that works, not to mention famous (a bottle is being sold every freakin' 12 seconds in Japan! ), this wonder product is priced just right. 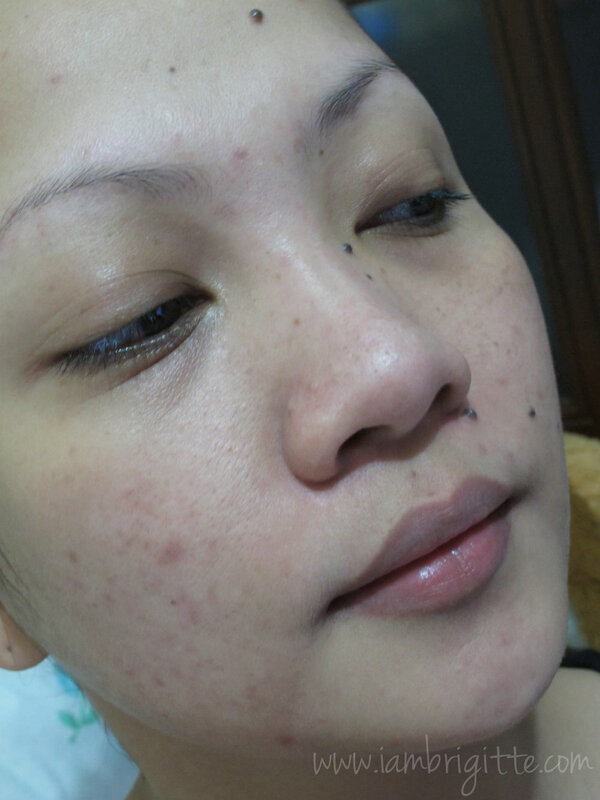 And you can also use it on other parts of the body...anywhere you want to get rid of nasty dead skin. I've been using it on my elbows and knees too! Some of you might think that the tiny balls of "dead skin" might be from the product itself, but it's not. If it is, then the amount you get should always be the same whenever you use it, right? In CURE's case, it's not. I tried comparing the amounts I got when I used it for the first time on my face and when I used it again for the second time (RIGHT AFTER the first). 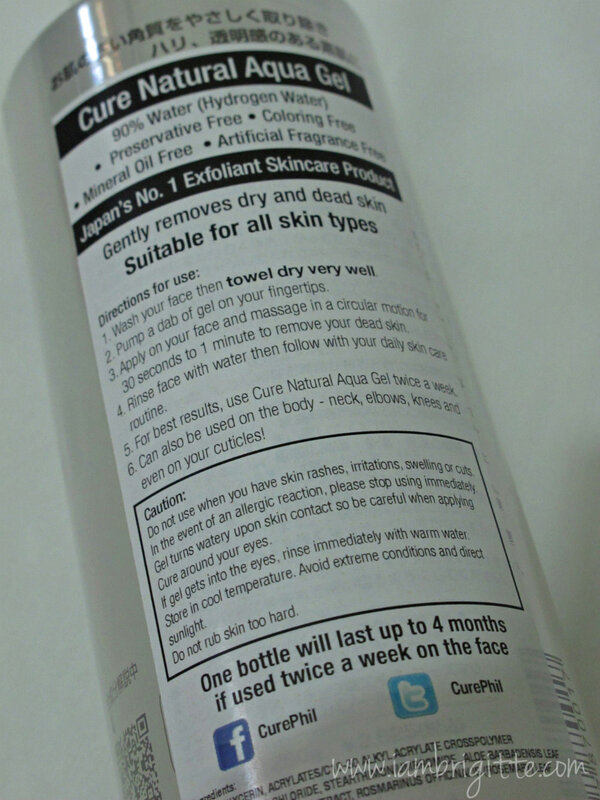 Remember, no need to apply pressure when massaging CURE onto the skin. I've found out that it's more effective to massage gently than rubbing it. Thanks Beauty Box Corp. for bringing this amazing product to our local stores! Check it out at the nearest Beauty Bar near you. To know more about the product, please follow Cure Philippines on Facebook. i cant wait for payday at bilhin yan! pwede pa sa ibang parts ng katawan so versatileeee. Still beautiful with a bare face. I wish that I could buy this here in the US. This is an amazing product.